NOTE: Dr. Fletcher will not be reviewing applications for the 2019-2020 academic year. 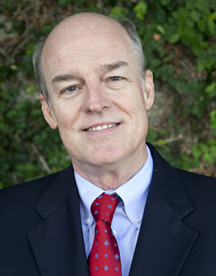 Jack M. Fletcher, Ph.D., is a Hugh Roy and Lillie Cranz Cullen Distinguished Professor of Psychology at the University of Houston. He received a BA degree from Davidson College in 1973 and a PhD in clinical psychology from the University of Florida in 1978.Dr. Fletcher has been affiliated with The University of Houston since 1979, first as an adjunct assistant professor (1979-85), then as a tenured Associate Professor (1985- 1989), adjunct Professor (1989- 2006), and beginning his current tenured appointment in 2006. From 1978- 1985, Dr. Fletcher was the Acting Director of the Mental Retardation/ Developmental Disabilities Research Section at the Texas Research Institute of Mental Sciences; from 1989-2006, Dr. Fletcher was a tenured Professor in the Division of Developmental Pediatrics in the Department of Pediatrics at The University of Texas Medical School- Houston. For the past 30 years, Dr. Fletcher, a board-certified child neuropsychologist, has worked on issues related to child neuropsychology, including studies of children with spina bifida, traumatic brain injury, and other acquired disorders. In the area of developmental learning and attention disorders, Dr. Fletcher has addressed issues related to definition and classification, neurobiological correlates, and most recently, intervention. Dr. Fletcher directs a Learning Disability Research Center grant and a long-term study involving genetic, neuroimaging, and neuropsychological factors in spina bifida, both funded by the National Institute of Child health and Human Development. He served on the NICHD National Advisory Council, the Rand Reading Study Group, the National Research Council Committee on Scientific Principles in Education Research, and the President's Commission on Excellence in Special Education. The author of 3 books and over 350 papers, Dr. Fletcher was the recipient of the Samuel T. Orton award from the International Dyslexia Association in 2003 and a co-recipient of the Albert J. Harris award from the International Reading Association in 2006. He was President of the International Neuropsychological Society in 2008-2009. Fletcher JM, Lyon GR, Fuchs LS, & Barnes MA (Eds.) (2007). Learning disabilities: From identification to intervention. New York: Guilford Press. Fletcher, JM, Copeland, K, Frederick, J, Blaser, SE, Kramer, LA, Northrup, H, Hannay, HJ, Brandt, ME, Francis, DJ, Villarreal, G, Drake, JM, Laurent, J, Townsend, I, Inwood, S, Boudousquie, A & Dennis, M. (2005). Spinal lesion level in spina bifida meningomyelocele: A source of neural and cognitive heterogeneity. Journal of Neurosurgery, 102, 268-279. Simos PG, Fletcher JM, Sarkari S, Billingsley RL, Denton C, & Papanicolaou AC (2007). Altering the brain circuits for reading through intervention: A magnetic source imaging study. Neuropsychology, 21, 485-496. Fuchs LS, Powell SR, Hamlett CL, Fuchs D, Cirino PT, & Fletcher JM (2008). Remediating computational deficits at third grade: A randomized field trial. Journal of Research on Education Effectiveness, 1, 2-32. Barth, A.E., Stuebing, K.K., Anthony, J.L., Denton, C.A., Mathes, P.G., Fletcher, J.M., & Francis, D.J. (2008). Agreement among response to intervention criteria for identifying responder status. Learning and Individual Differences, 18, 296-307. Fletcher, JM, Ostermaier, KK, Cirino, PT, & Dennis, M. (2008). Neurobehavioral outcomes in spina bifida: Processes versus outcomes. Journal of Pediatric Rehabilitation Medicine: An Interdisciplinary Approach, 1, 311-324. Hasan, KM, Sankar, A, Halphen, C, Kramer, LA, Ewing-Cobbs, L, Dennis, M, & Fletcher, JM (2008). Quantitative diffusion tensor imaging and intellectual outcomes in spina bifida. Journal of Neurosurgery: Pediatrics, 2, 75-82. Dennis M, Francis DJ, Cirino PT, Schachar R, Barnes MA, Fletcher JM (2009). Why IQ is not a covariate in cognitive studies of neurodevelopmental disorders. Journal of the International Neuropsychological Society, 15, 331-343. Fletcher, JM (2009). Dyslexia: The evolution of a scientific concept. Journal of the International Neuropsychological Society, 15, 501-508. Fletcher, JM, Francis, DJ, O'Malley, K, Copeland, K, Mehta, P, Caldwell, C, Kalinowski, S, Young, V, & Vaughn, SR (2009). Effects of a bundled accommodations package on high stakes testing for middle school students with reading disabilities. Exceptional Children, 75, 412-428. Fletcher, JM, & Vaughn, S (2009). Response to intervention: Preventing and remediating academic difficulties. Child Development Perspectives, 3, 30-37. Hannay, HJ, Walker, AM, Dennis, M, Kramer, LA, Blaser, S, & Fletcher, JM (2009). Auditory interhemispheric transfer in relation to patterns of partial agenesis and hypoplasia of the corpus callosum in spina bifida meningomyelocele. Journal of the International Neuropsychological Society, 31, 180-194. Raghubar, KP, Hogan, K, Barnes, MA, Cirino, PT, Ewing-Cobbs, L, Fuchs, LS, & Fletcher, JM (in press). Computation errors and behavioral inattention in children with math difficulties. Journal of Learning Disabilities.